Using our high quality white balsamic condiment, this vinegar is created with natural Apricot flavors creating a bouquet of aromas including: apricot blossom, sweet nectar and fruity top notes of Apricot. Pair with Gremolata, Blood Orange, Garlic or Herbes de Provence to create the most perfect vinaigrette. Italian sour cherry puree and our rich traditional style condimento base are blended together creating rich leathery flavors of deep red fruit highlighting the quality of the ripe sour cherry puree. The end result is a rich, delicate in mouth feel of red, jammy fruit with notes of plum, cherry and prune. Olive Oil Pairings: Persian Lime, Chipotle and Blood Orange olive oils. A wonderful winter flavor that will add a sweet currant flavor to your cooking. Using our Traditional style base, this complex, rich, sweet and dense balsamic will add a whole new dimension to your dishes. Complex, rich, sweet, dense. Ideal for glazing lamb, beef or pork to create a beautiful caramelized surface. Drizzle over desserts, fruits or cheeses. Olive Oil Pairings: Blood Orange Olive Oil, Lemon Olive Oil or Herbes de Provence Olive Oil. Combine the flavor of delicate blackberries and the gentle heat of ginger, this vinegar is truly a unique creation for sweet desserts or vinaigrettes. A lovely addition to Asian cuisine or pastry related items. Use as an ingredient with chicken, mostardas, roasted lamb or mexican hot chocolate. Olive Oil Pairings: Blood Orange olive oil, Lemon olive oil, Roasted Sesame oil, Roasted Walnut oil and Persian Lime olive oil. This luscious blueberry balsamic vinegar is just as amazing over garden salad as it is over fruit salad. The nose of this product is true to fruit. When paired with delicate extra virgin oil, the intense blueberry flavor will shine. Also fantastic with blue and feta cheeses. 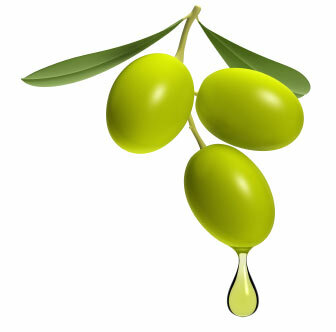 Olive Oil Pairings: Roasted Walnut Oil, Butter Olive Oil or Lemon Olive Oil.